You are here: Home / New York / New York Festivals You Won’t Want to Miss! New York City is a metropolis known for its endless parade of events, tourist attractions, and all around good times for all. From Brooklyn to Broadway, the city is rife with things to see and do for people from all walks of life. If you plan on visiting the Big Apple sometime soon, you will want to plan your New York City tour bus & sightseeing trip around these amazing festivals. Whether you love food, music, art or all three, immersing yourself in the crowded city streets for these events will create a memorable experience that you’ll be bragging about for years to come. For those who love the winter time, the Central Park Ice Festival is an incredible event that allows snow lovers to celebrate the season. For those who hate the colder months, the joy of this event might warm even the chilliest of hearts. Taking place in February each year, the Central Park Ice Festival is amazing. It features live ice sculpture carving, trivia, and a sculpting station where you can create your own sculpture. Be sure to hang around for the silent disco. You can experience two DJs playing music directly into headphones. This makes for a unique party experience. Film aficionados will love the Manhattan International Film Festival. One in which young filmmakers from around the globe travel to New York City to showcase their work. These finalists are competing to show their film at the United Nations. Let’s just say, the competition is fierce! The festival takes place in March and is open to young film directors under the age of 31. The mission statement asks participants to use their film to explore the depths of the human condition, to create an engaging, insightful experience for viewers. What better way to celebrate the gorgeous May weather in New York City than with a craft beer festival? Five Boro Craft Beer Fest claims to be unlike any other, offering beer that is served in proper tasting glasses at the optimum temperature for enjoyment, indoor bathrooms, plenty of food, and limited ticket sales to ensure there is ample supply available. Most importantly, the Five Boro Craft Beer Fest advertises that there are no line-ups for beer. As tickets are limited for this event, you’ll want to reserve yours well in advance of your visit. During the festival, you will have a blast. You can enjoy a huge selection of craft beer. These includes many that are unveiled for the first time at the event. If you have a vested interest in the coffee industry, be sure to check out one of the seminars during the festival. Despite the beverages being targeted toward an adult audience, the festival itself is child-friendly if you have small travelers with you. The five boroughs of New York City are known for their distinct style that sets them apart from one another. 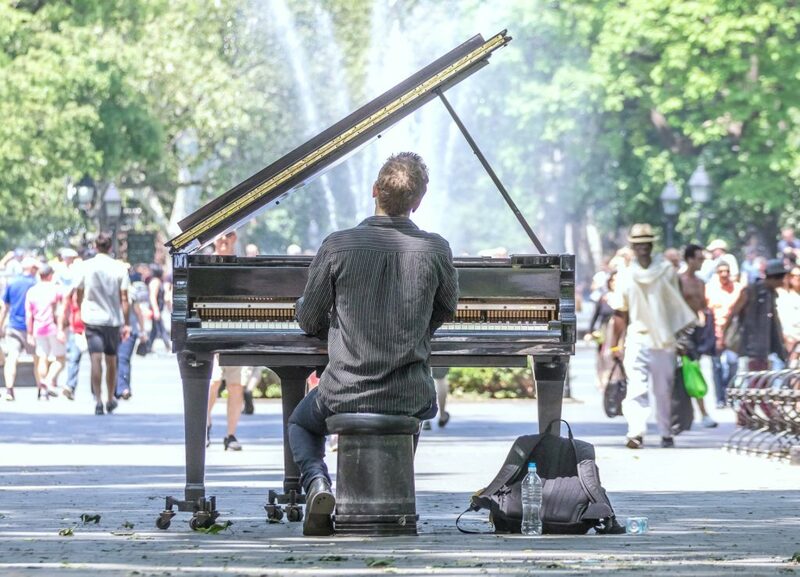 During the Five Boroughs Music Festival, those differences blend in a musical extravaganza that showcases the eclectic mix of chamber music styles that make New York so iconic. Unlike most festivals, this one isn’t confined to a single day or weekend. Rather, it spans over the course of the year at different locations around New York City. Check their website before planning your trip to see which shows line up with your travel dates. Festivals are a fantastic way to immerse yourself in the culture of your destination while exploring your passions. Be it beer, music or a little bit of each, these festivals are guaranteed to entertain you during your time in New York City. Have you ever been to a festival in New York? Previous Post: « NYC Top Rated Adventures: Must-Do’s to Rock Your New York Tour! NYC is my dream destination and these festivities seem so much fun, Nancy! I would love to attend the Central Park Ice Festival. Is it an annual event? I love NYC, it is on its 6th year.